The Toronto Raptors are very good, but not great. To truly contend in the East again, they must re-establish their defensive identity from previous years. That means bringing ‘Pound the Rock’ back. Generally to consider yourself a great team in a professional sports league, you must have an established identity. Some current examples include an aerial-attacking Atlanta Falcons’ offense of the NFL, a wildly high-paced Pittsburgh Penguins of the NHL or a defensively rugged, inside-out Memphis Grizzlies of the NBA. The Toronto Raptors are a very good team severely lacking a defensive identity or purpose. The Raptors’ overall identity has reshaped itself year-to-year under Dwane Casey with the different rosters Toronto has deployed. Early on, the well-known mantra ‘Pound the Rock’ was coined as the defensive catchphrase brought from the former-NBA champion Dallas Mavericks. Casey strived to bring a physical, defense-first identity to a team struggling to find itself in the NBA landscape. 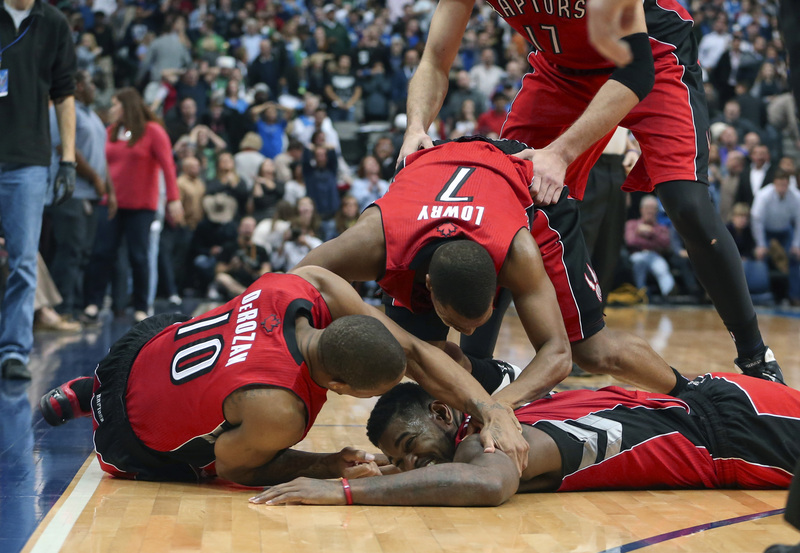 The Raptors quickly became defensive nightmares for opposing teams for the next two years. Then came the 2014-2015 season, where former Raptors guard, Lou Williams helped lead one of the top offenses in the NBA. Casey adapted the team to an isolation-based system due to the strengths of its three best players (Lowry, DeRozan, Williams). 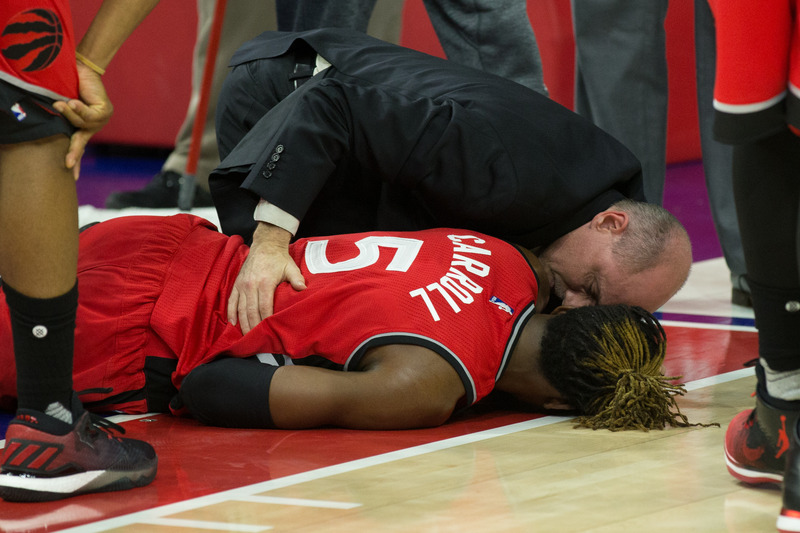 What ultimately became the Raptors downfall was their extreme lack of defense they displayed. Williams and DeRozan, were defensively inept, to say the least. The Raptors were plainly outscoring teams in shootouts all regular season long. It was fun while it lasted, but a 4-0 playoff sweep to the Washington Wizards gave the Raptors’ organization serious pause. A year later, defensive reinforcements in the form of Cory Joseph, DeMarre Carroll and Bismack Biyombo restored balance to a team that relied too heavily on one phase of the game. The eventual outcome was the Raptors making their first-ever Eastern Conference Finals appearance in franchise history. 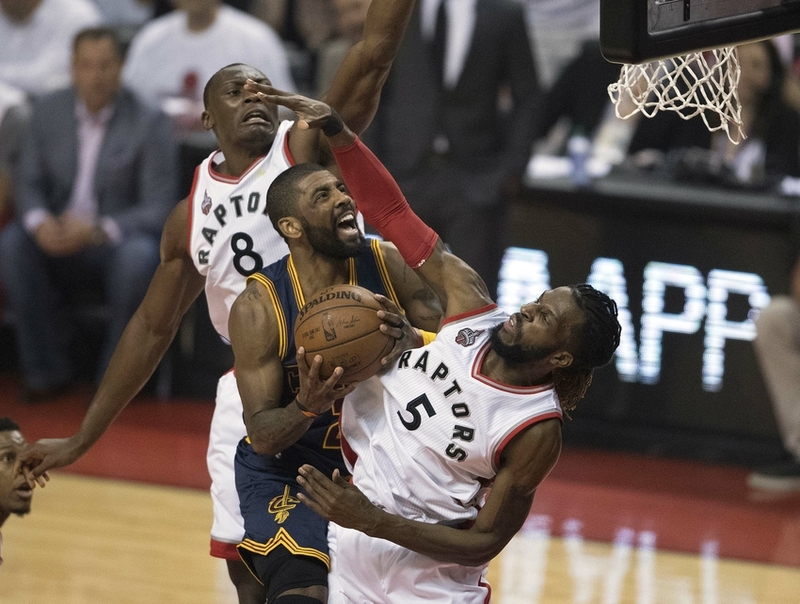 To the Raptors’ credit, many believed the Cavaliers series would be an easy sweep for LeBron and co.
Over the years, the Raptors have completely changed identities from defensive powerhouses to an aesthetically offensive superpower to a more playoff-prepared, balanced roster. Next: Fast forward – what’s the issue now? Fast forward — what’s the issue now? The Raps have been an absolutely fantastic team offensively — so good that they temporarily held the title of best offense in league history — while being a middle-of-the-pack team on the other end. A major issue that has plagued Toronto since the beginning of last season is their struggle to defend the three-point shot. Their perimeter defense has been downright terrible to the naked-eye and by nearly all defensive metrics. To this date, Toronto has allowed a .363 3PT percentage (19th ranked in NBA) and a .456 FG percentage (18th ranked in NBA). Last year, Toronto was even worse defending the 3PT shot allowing a .373 3PT percentage (29th ranked) however defended much better inside the three-point line allowing a .444 FG percentage (11th ranked in NBA). Recently, we have seen mediocre NBA teams such as the Orlando Magic, Phoenix Suns and Philadelphia 76ers light up the Raptors in different scenarios throughout each game. For perspective, these teams have a combined 52-93 record this season (.358 winning %). Masai Ujiri handed DeMarre Carroll a colossal $15M per year contract hoping he could slow down the game’s best swingmen while still chipping in on offense. At times, Carroll looks the part of a defensive force however the 2016 playoffs proved he cannot be the only one tasked to stop superstars like Paul George, Dwayne Wade and LeBron James. The Raptors simply need another option off the bench — or even a replacement for Carroll as the starter. For the sake of comparison, Cory Joseph has had a comparably inconsistent season. 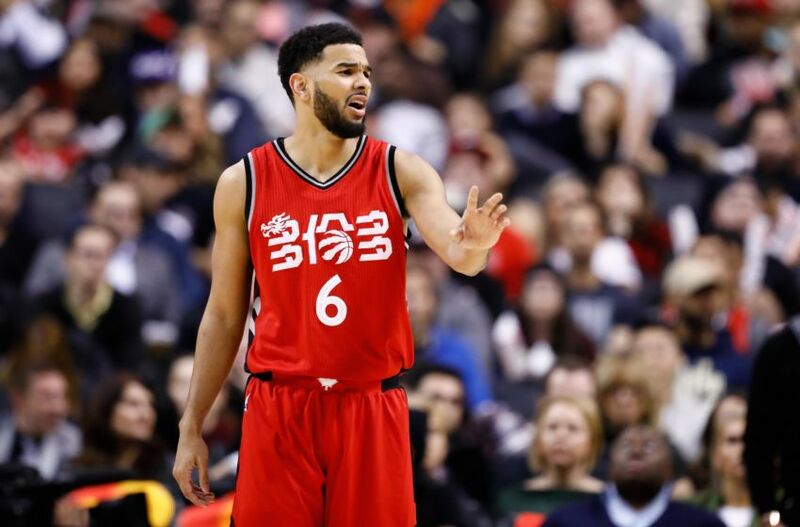 Toronto’s defensive rating with Cory Joseph on the floor last season was 100.2 (team-best). This season, it’s stuck at 108.9 (team-worst). Granted, the plus/minus statistic is much more a “team” rating than it is indicative on the individual player. Nonetheless, with such a stark difference, one can only imagine what is going on with Joseph. When the team’s defensive shortcomings come into conversation, Raptors former big man, Bismack Biyombo is often mentioned and rightfully so. Luckily for the Raptors, they replaced Biyombo’s defensive ability with fan favourite, Lucas ‘Bebe’ Nogueira. Advanced metrics such as defensive rating, true shooting %, and box plus/minus tell you the team, as a whole plays better when Bebe is on the floor and worse when he is off of it. These are great early signs for a young player who barely touched the hardwood last season for the Raptors. Nonetheless, Bebe doesn’t rebound nearly as well as Biyombo (Raptors ranked 27th in defensive REB%) nor does he bring the inspiring defensive aura that the latter brings. 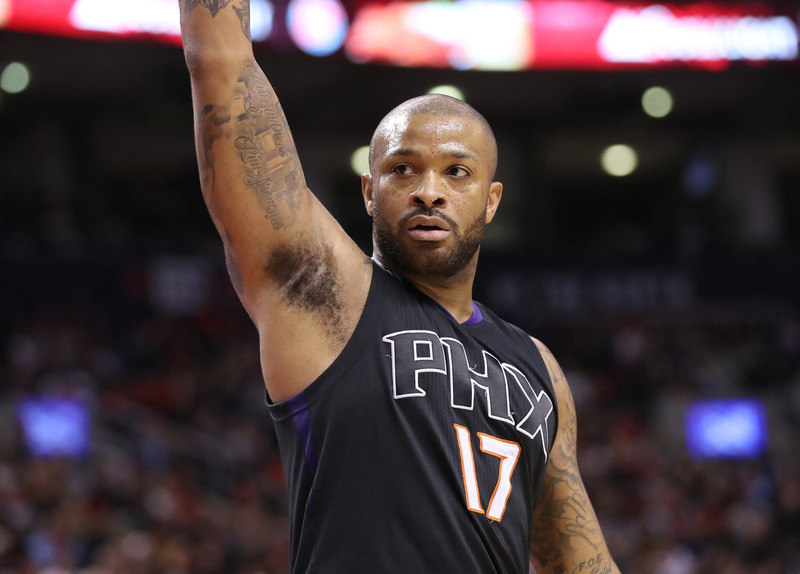 What the Raptors have badly needed is a perimeter-stopper with the likes of Phoenix Suns’ swingman, PJ Tucker being one of the long-rumoured targets. 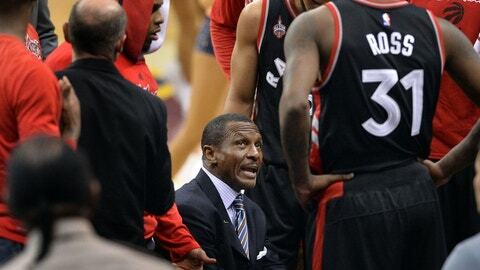 Liike the early years of Casey’s tenure, Toronto must develop a defensive identity to challenge in the East. This means acquiring a player (most likely through a midseason trade) who not only brings defensive ability, but presence — two completely different attributes. Raptors sportscaster, Jack Armstrong constantly mentions the team’s need to add a ‘mean-streak’ presence and he’s absolutely right. This team has big aspirations this season after a massive playoff run last year. The East looks much more competitive this season with the Celtics currently battling the Raptors for the 2nd seed in the conference. Others like the Wizards, Hornets and even the Bulls are teams the Raptors cannot afford to look past, especially with them being potential 1st round match-ups. Toronto cannot cure every deficiency but can do their absolute best to mask them. The minor issues they are having now will only magnify during the ‘big dance’ in April. These next few weeks before the trade deadline will be absolutely crucial for this team. 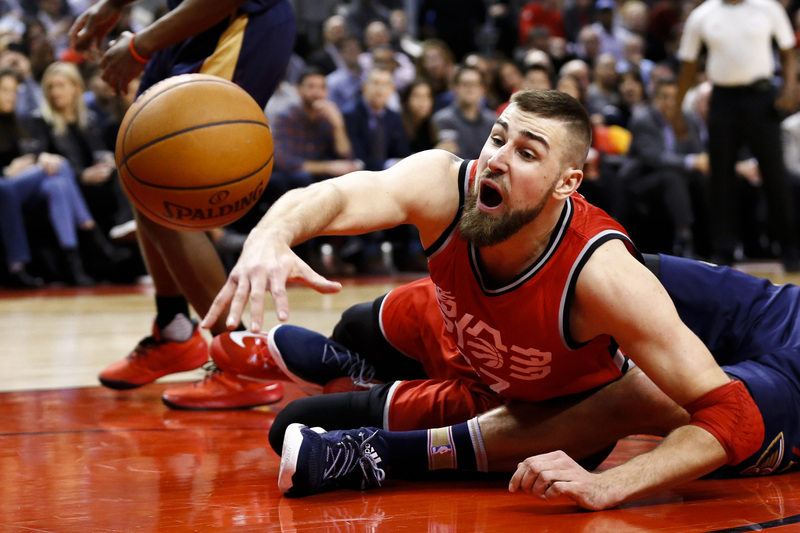 Rapture Nation — is it finally time to get rid of defensive liability, Jonas Valanciunas? Package Cory Joseph and others? Was it a mistake to get rid of James Johnson? Besides the oft-rumored PJ Tucker, who would YOU like the Raptors to target to solve their defensive inconsistencies? Fire away in the comments below.